Coat of Arms: a silver Thanatäe tree under a shooting star on a dark green field. Eryn Kahai is a small independent freehold, located on the eastern coast of Vesarivon Isle. The Freehold was founded for two important purposes. 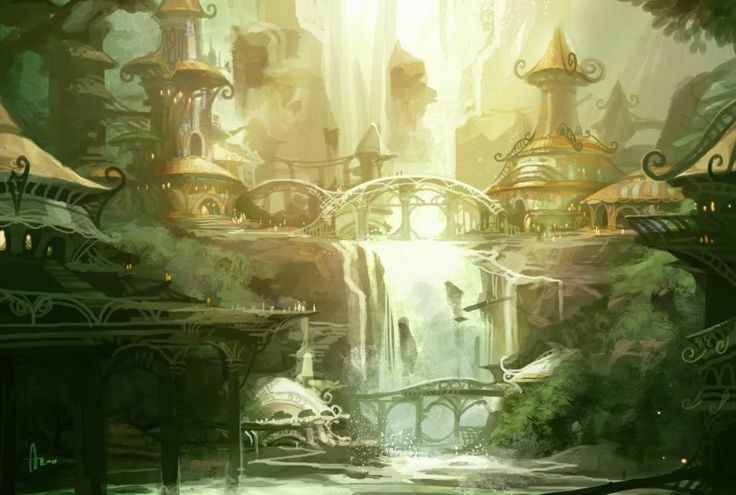 First, to foster trade between the Grey-Elves and the Iskari kingdom of Cyrendar; and second, to protect the borders of Antharë; the secluded, forest enclave of the Grey-Elves, from outsiders. Long ago, this freehold was founded by the Grey-Elves of Antharë to serve a vital function as a buffer between them and the other races living nearby. The freehold has a mixed population that is ruled by an autonomous council. The primary purpose of the freehold is to safeguard the borders of the Grey-Elves' sanctuary. Their soldiers, rangers, and scouts patrol the entire island to ensure that no outsiders gain entry into Vesarivon Forest. It is not known if any of the folk of Eryn Kahai have themselves, ever ventured within the woodland, but they guard its borders quite zealously. To maintain its mission, the freehold maintains a very strong force of over 1,200 rangers, scouts, and soldiers to protect the forest enclave of Antharë. These troops are made up of Grey-Elves, Wood-Elves, and even a few trusted Iskari. The freehold’s military forces are augmented by powerful magical items given to them by the Grey-Elves, so they are nearly invincible. As for trade, the freehold sells many elvish crafts thru the freehold, and freely buys and sells goods with the people of Cyrendar and Serathyr.